This is our website dedicated to Permaculture and nutrition in Malawi, Africa. The sustainable ideas for living that are embodied in Permaculture are universal, which means that they can work anywhere in the world. The plants, animals, infrastructure, climate, etc. will be different, but the ideas will remain the same. We hope that by highlighting some of the exciting things that are happening here in Malawi, you may also be able to learn and apply some of these things wherever you may happen to find yourself. But first, a little history of who we are and how we ended up in Malawi: In April of 1997, Stacia and Kristof Nordin were sent to do HIV prevention work in Malawi, Africa through the U.S. Peace Corps. Stacia is a Registered Dietitian, and Kristof is a Social Worker by training. As we began our work, we quickly learned that in order to be successful, we would have to view the idea of “prevention” in an entirely different context from that of which we knew. In industrialized countries, we often take longevity and health for granted. When something opposes this notion, it is easy to feel threat­ened. In a country like Malawi, however, concepts like these are not a given. Death is as much a part of daily life as is birth. Villagers are barraged by continual threats to their existence: Cerebral Malaria, Cholera, Tuberculosis, malnutrition, floods and droughts. In the eyes of the village, HIV infection is another disease to add to this list. The sense of urgency that we expected to find in a country that is one of the hardest hit in the world by this epidemic is minimal, even at the national level. The conclusion that Stacia and I came to was that we could­n’t treat HIV as a separate entity. It had to be seen in the way that the village sees it–as part of a whole. We couldn’t address a disease that attacks the immune system without addressing the fact that immune systems were already compromised by malnutrition. We couldn’t work on improving nutrition without working to improve the diversity of what was being grown. We couldn’t improve the diversity of agricultural crops without working to improve soil fertility, and on and on….We began to see a natural connection between problems and solutions. The Permaculture approach has been ideal for implementation at the community level, because it uses all existing resources. It is also ideal for implementation at the Government and Policy level because there’s no need for external funding or donations. The Nordins live Permaculture. We use it at our home, we use it in our work, and we try to use every opportunity to teach others about the potential that the world has to provide for itself in a sustainable and healthy manner. 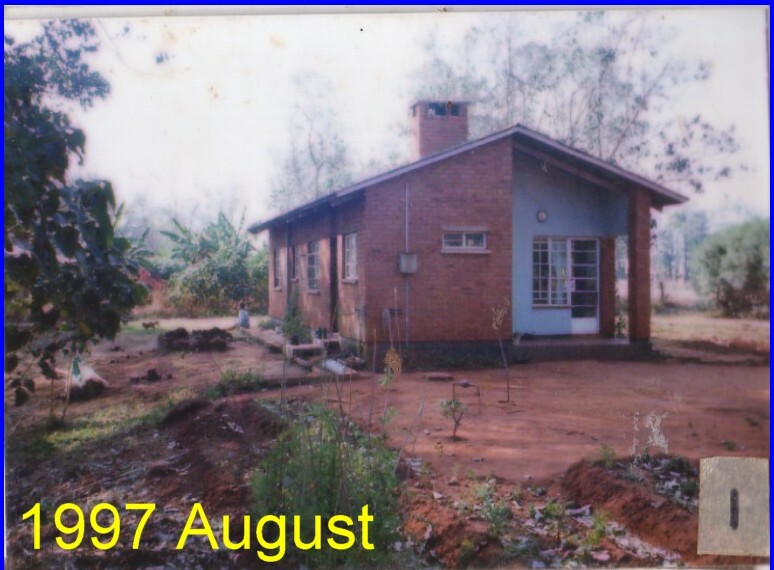 In 2001, our daughter was born here in Malawi. Her name is Khalidwe, which is a Chichewa word that roughly translates into “the good characteristics that an individual brings to culture”. 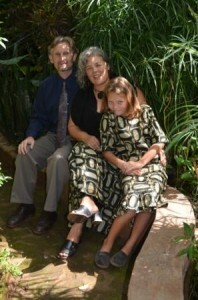 Together, the three of us now live in a small village about 15 miles from the capital city, Lilongwe. We try to stick to the motto, “Live simply so that others may simply live.” We teach by example and try to be role models to those who live around us and those who come to visit us. 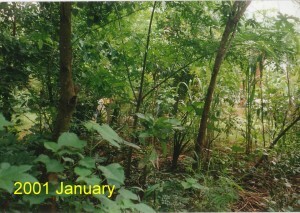 Our house now serves as a Permaculture Demonstration plot where we are able to conduct trainings and host visits. We have people coming to learn on a weekly basis. 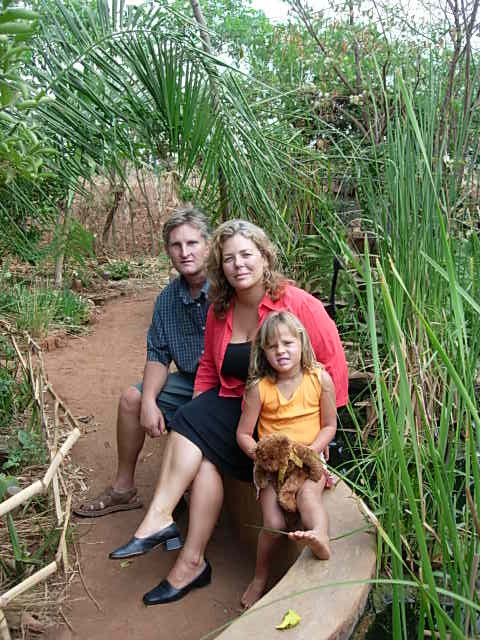 In 2008, both Kristof and Stacia received Diplomas in Permaculture Design, signed by none other than the Father of Permaculture, Bill Mollison. Currently, as of 2012, Kristof has been facilitating various sessions and Permaculture Design Courses (PDCs) throughout Malawi when he isn’t busy writing and supervising activities at Never Ending Food. Stacia has just completed 6 years with the Ministry of Education on their School Health and Nutrition (SHN) Programme that aims to implement Sustainable approaches in all of Malawi’s primary schools. 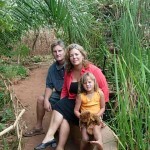 She is now doing various contract work in the areas of Permaculture and Nutrition with many different organizations. Khalidwe is in Standard 6 at the moment and seems to be loving the freedom of growing up in a village setting where she is surrounded daily by a multitude of ‘brothers, sisters, moms and dads’. We are continually trying to make this website as practical and useful as possible. We face various challenges that come with living in Malawi, such as poor internet connection speeds and frequent power cuts, but whenever possible we will continue to updated and share Malawi’s Permaculture activities with you. For now, here’s a couple pictures to whet your appetite. 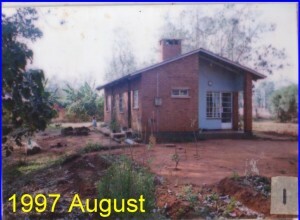 This first picture is of the first house that we lived in from 1997 until 2003. It was a typical over-swept and depleted plot that was trying to product only maize during the rainy season. Four years later, photo taken from the same spot. The home is productive and protected with a family surrounding it with love and care (Click to enlarge)This second picture, is what it turned into within about three years of using Permaculture principles, and producing over 150 different foods year-round! The potential in Malawi for people to be producing large amounts of food throughout the year is staggering. We have a 12-month growing season, access to water, and a huge genetic base of local food crops (almost 600 at last count) and yet we are only utilizing the 4-5 month growing season and primarily only growing one crop–maize. These are the mindsets and practices that this website is designed challenge, and hopefully also give positive solutions for change. There’s much more to come, so keep a lookout.